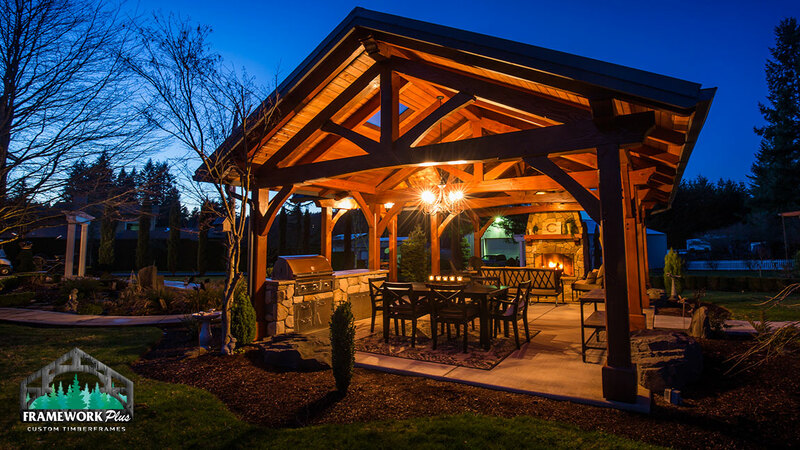 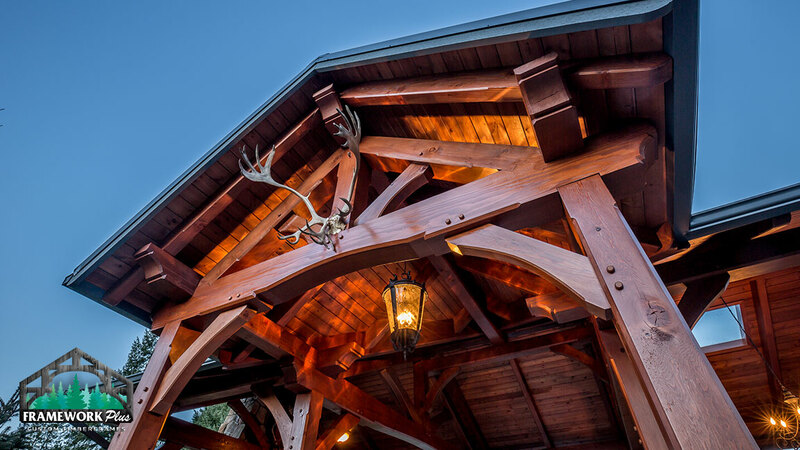 We specialize in one-of-a-kind pavilions, pergolas, patios and gazebos, fully customized to meet your needs! 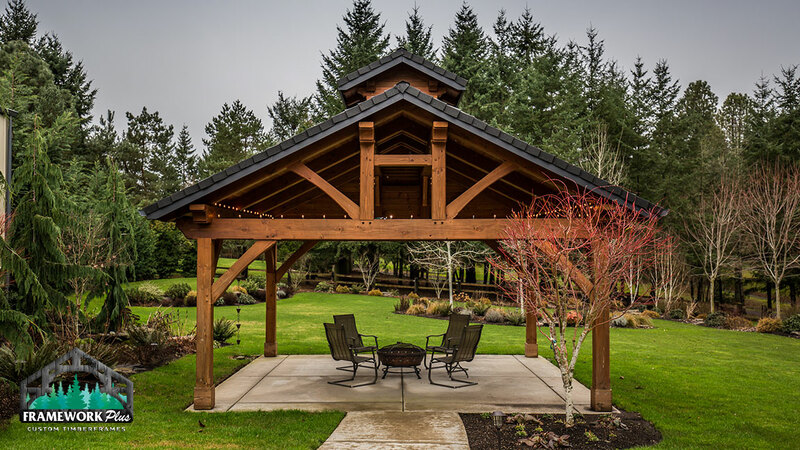 Order your pavilion with installation or as a ready-to-assemble kit. 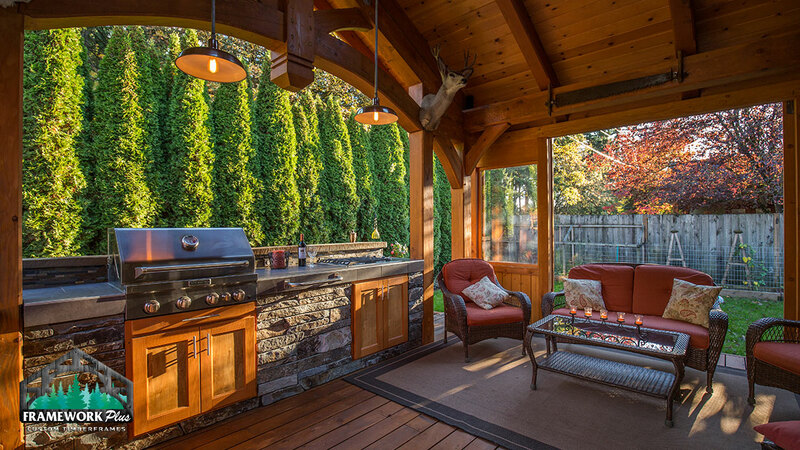 Comfortable outdoor living is finally here! 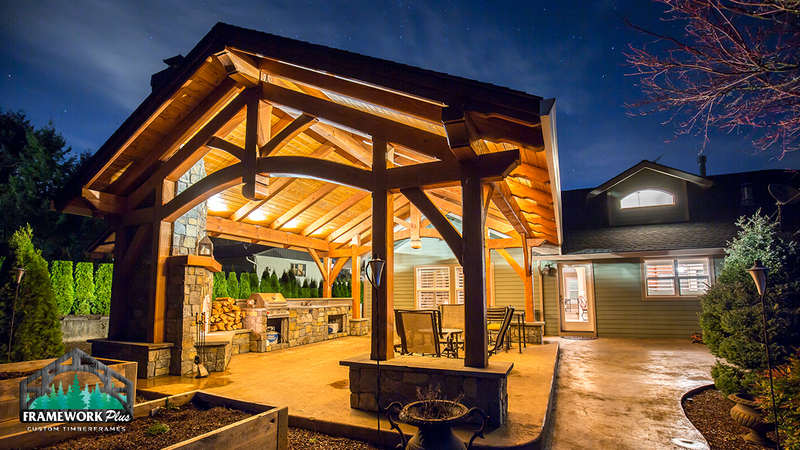 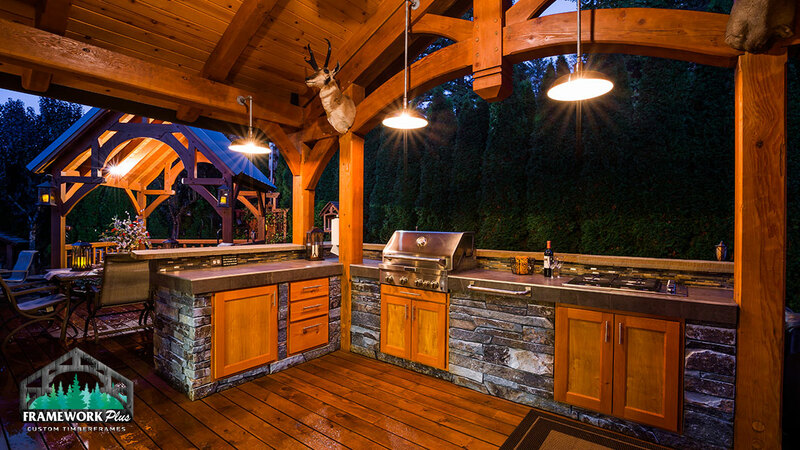 Framework Plus offers beautiful and functional outdoor living spaces all across the nation. 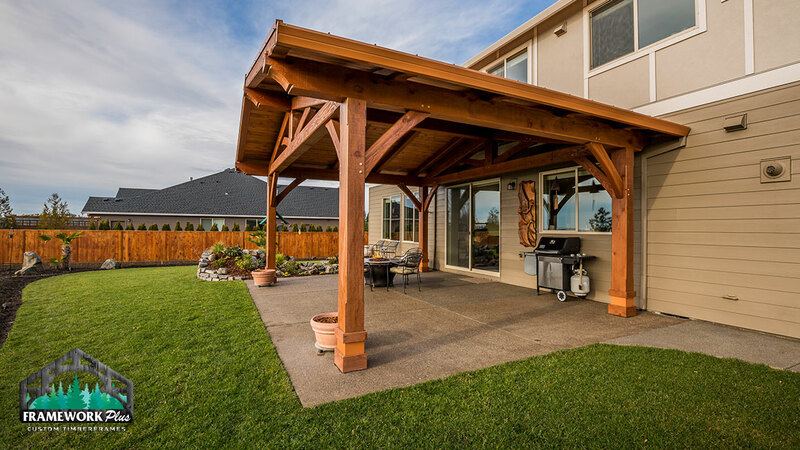 Whether it’s patio cover attached to your existing home or a stand-alone pavilion, we can create the outdoor living space of your dreams. 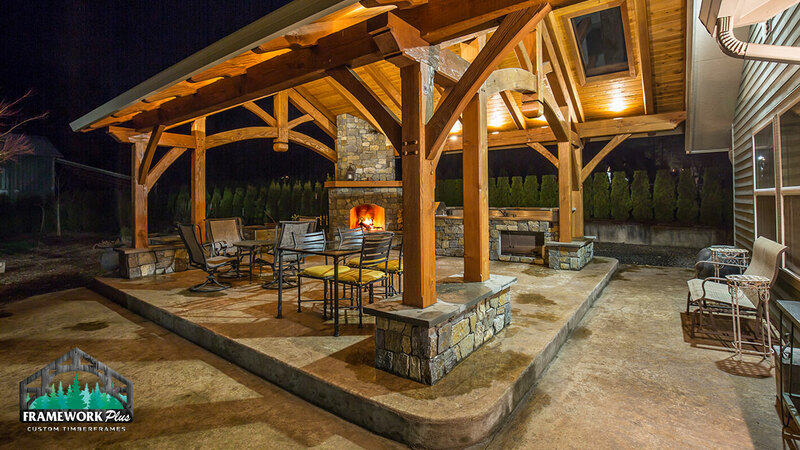 Our unique outdoor living spaces are fully customizable to fit each client’s needs. 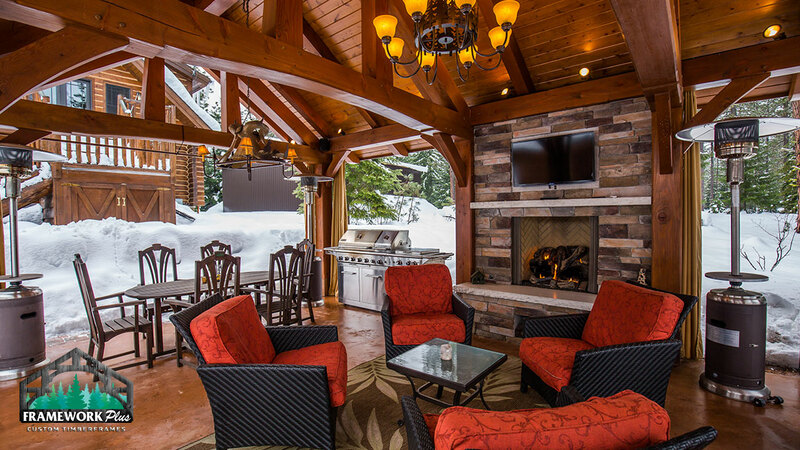 From full outdoor kitchens and entertaining spaces to spa covers and fireplaces, each space is unique and handcrafted. 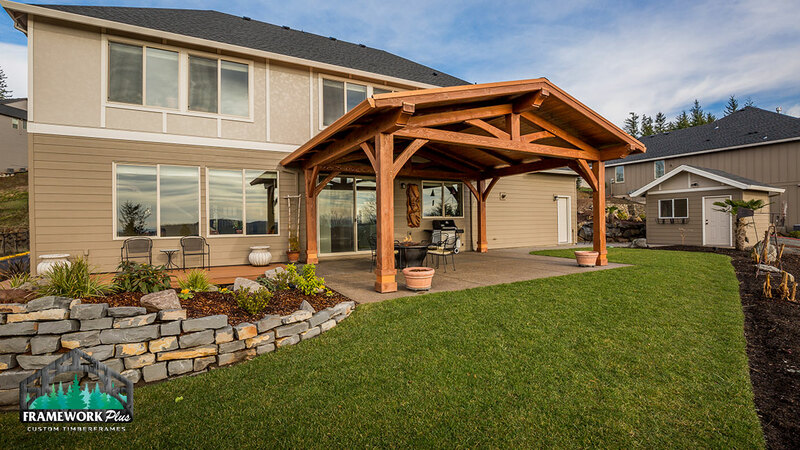 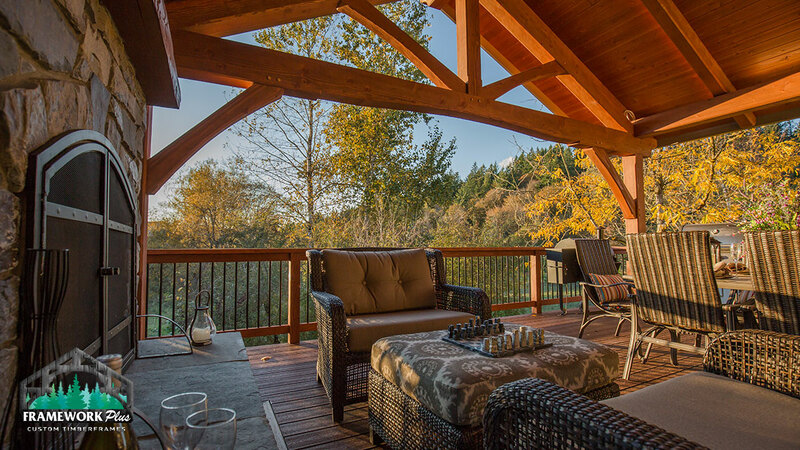 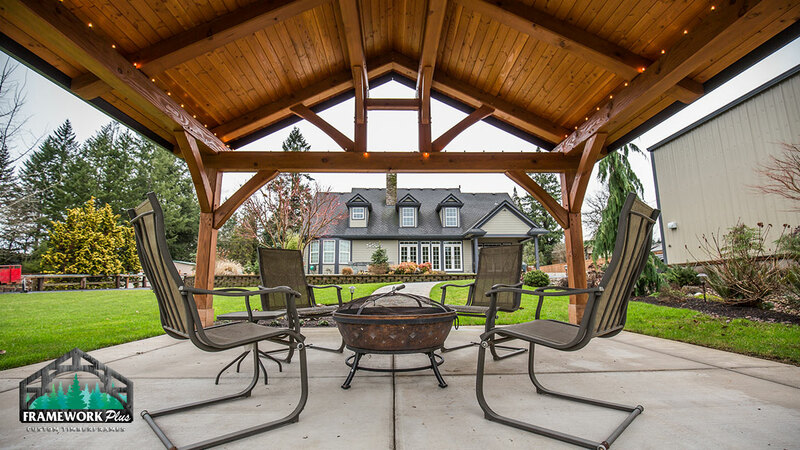 Timber frame covered attached patios make outdoor living luxurious. 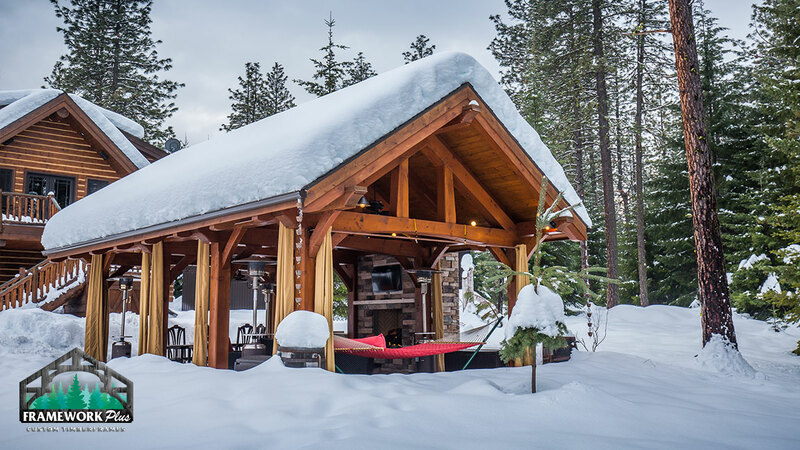 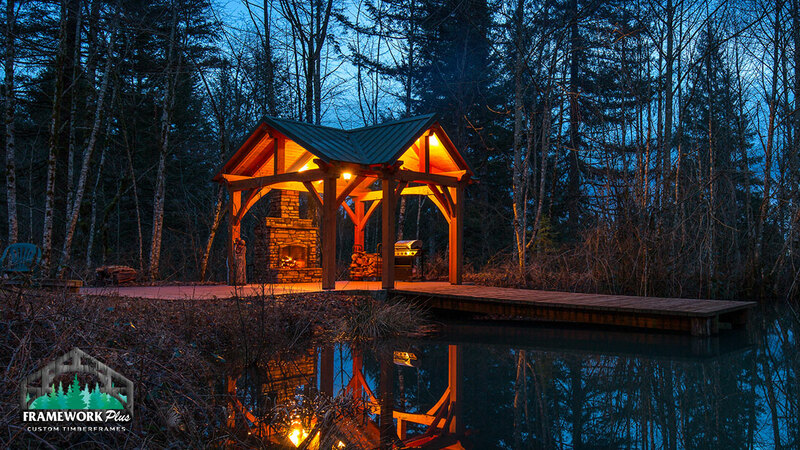 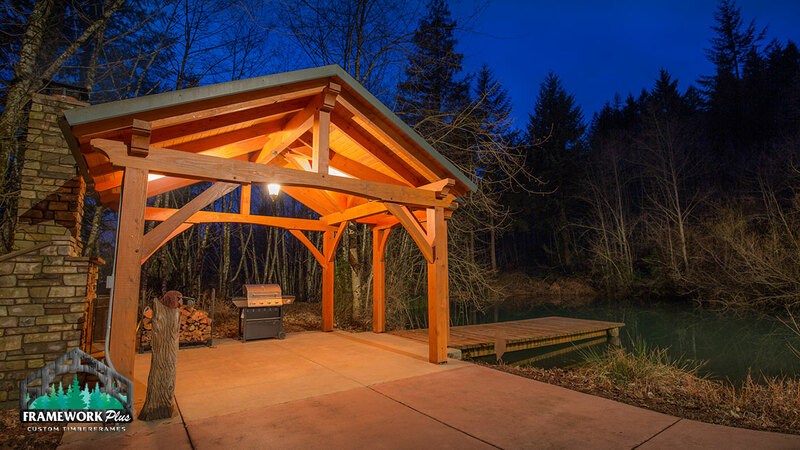 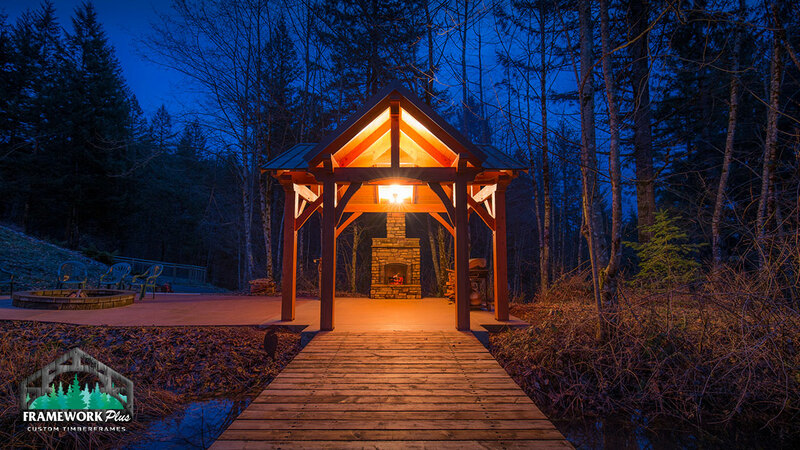 Our structures can withstand harsh weather, making outdoor living accessible year round. 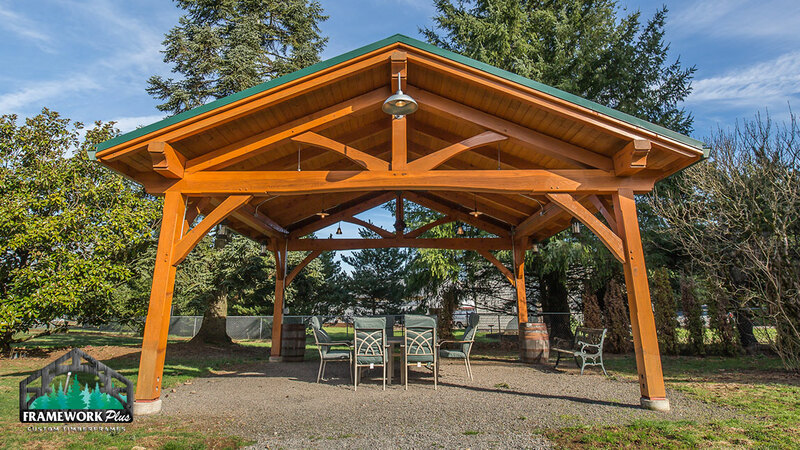 We offer several pavilion styles as kits, ready to be purchased, shipped and immediately assembled. 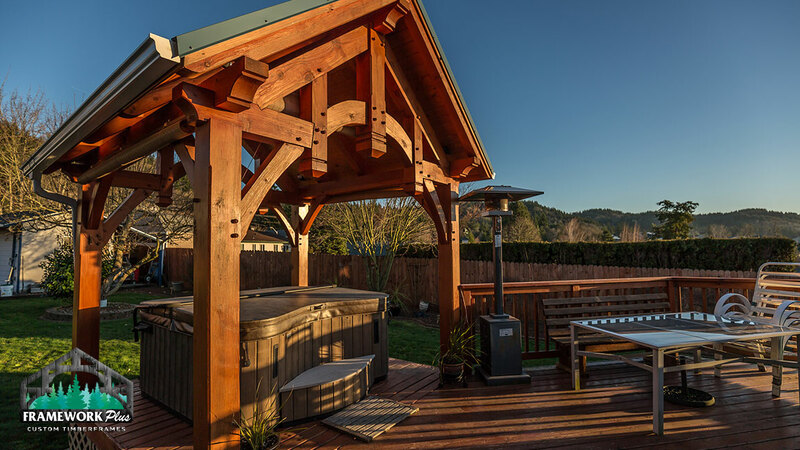 Don’t want to deal with putting it together yourself? 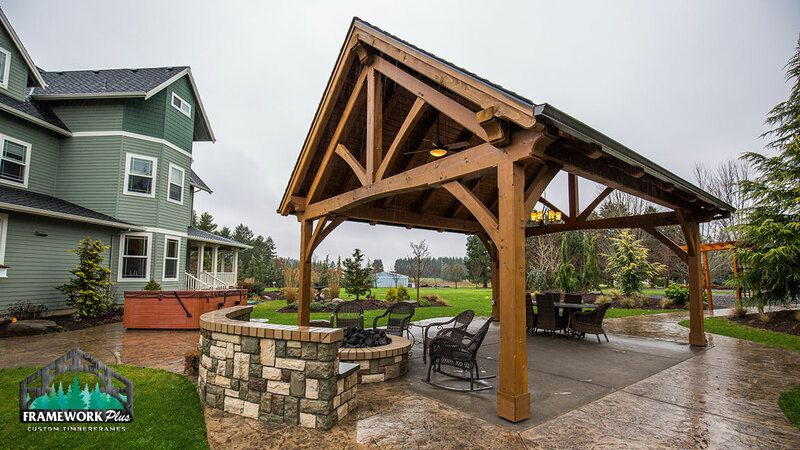 Our skilled team here at Framework Plus is happy to assemble your pavilion kit. 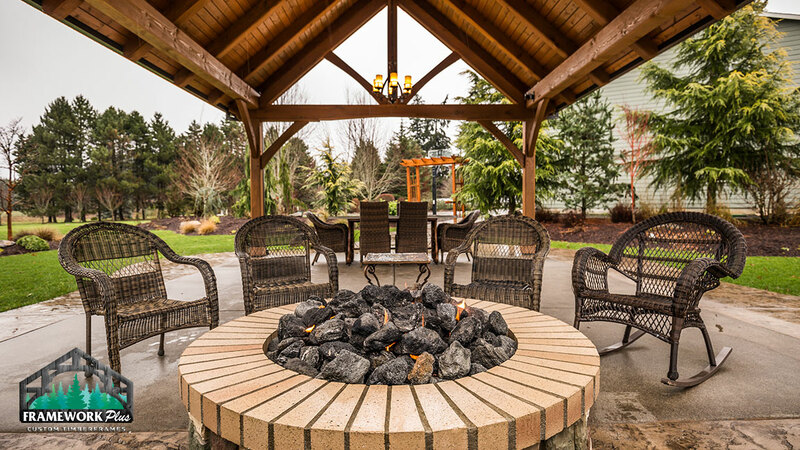 Comfortable outdoor living has never been so easy. 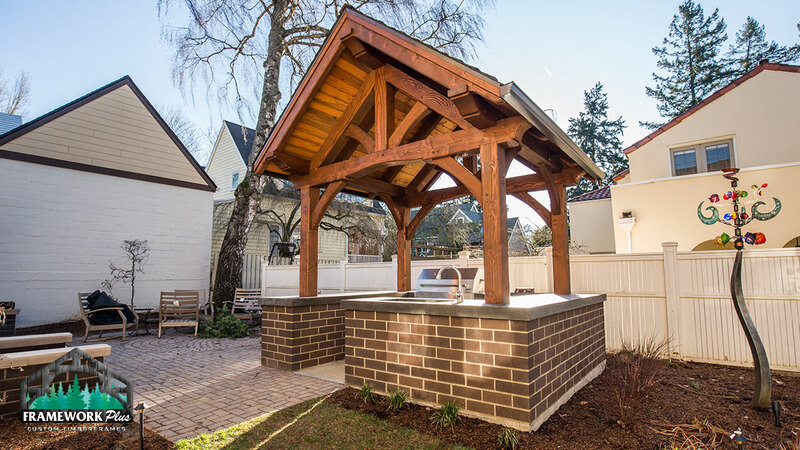 Our pavilion kits come in several different shapes and sizes to accommodate many different landscapes. 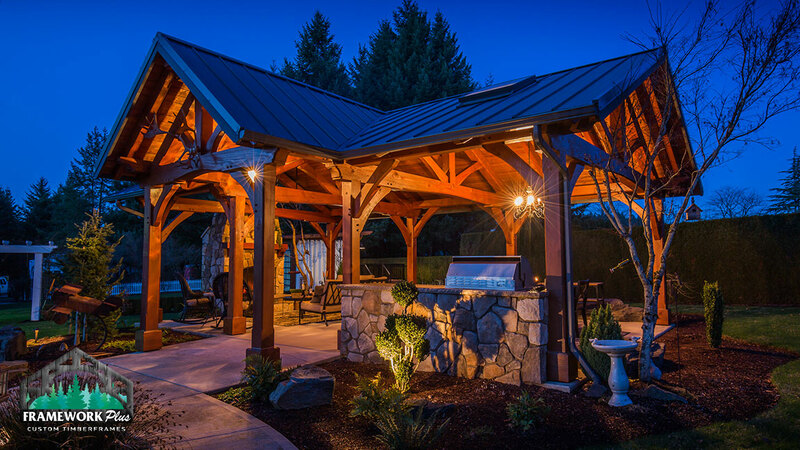 Looking for something custom? 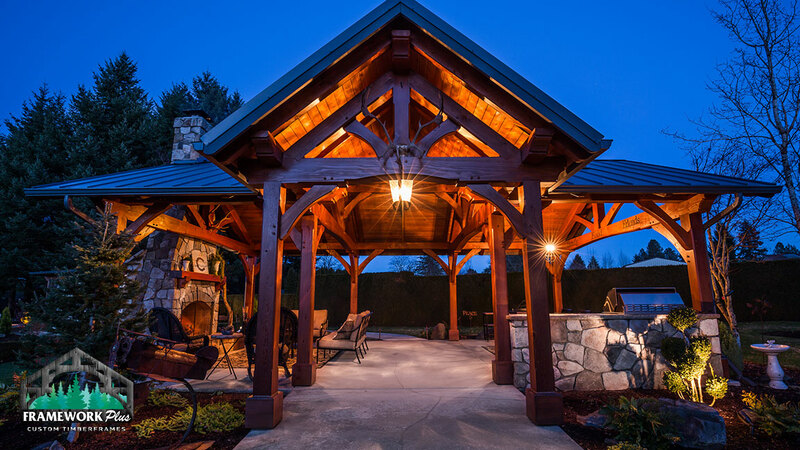 Our expert team will work with you to design and create a custom pavilion or other outdoor living area that will perfectly suit your needs. 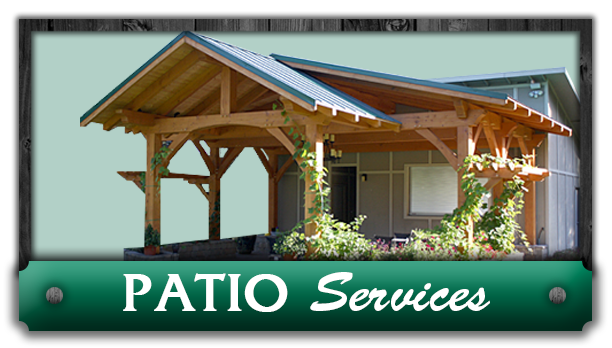 Need Pricing For A Patio Project?